I’ve had these jeans for ages. After a month of wear they developed a tear in the crotch. And yet for some reason I kept them. It’s a family trait. We don’t like wasting things and so reusing scraps or repurposing material was something I was brought up to do. Obviously these pants were waiting for me to have a really stiff neck. I was lieing away, trying to sleep when the idea came to me. The pant leg is the perfect size for a heat bag, long enough to drape around my neck but not fall off. The finished product isn’t exactly pretty or well finished, but it is practical. First start by draping the pant leg around your neck to determine the optimal length. 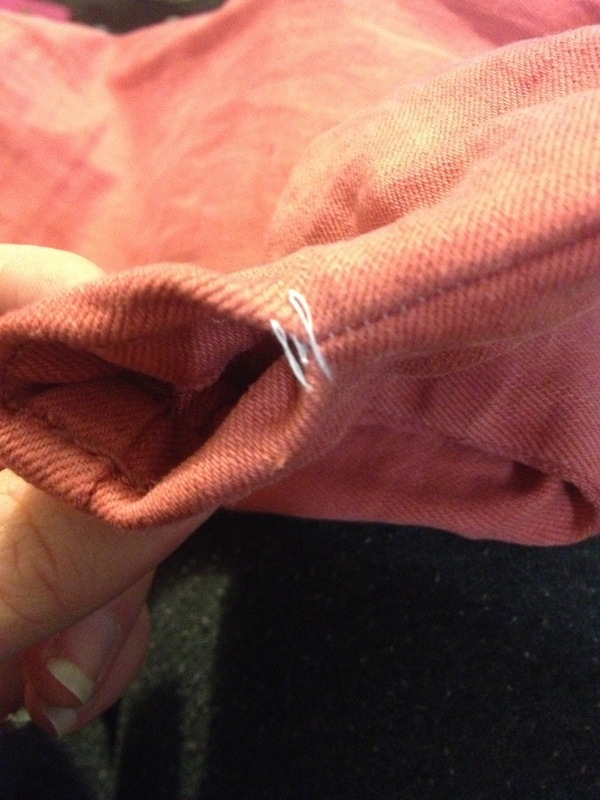 Sew up the leg on one end. Sew about half way along the other opening. You need enough room so you can turn it inside out. Using a funnel, start filling the tube. Fill it a bit and then sew it up to create segments. I divided mine into 3 (so I did this bit twice). 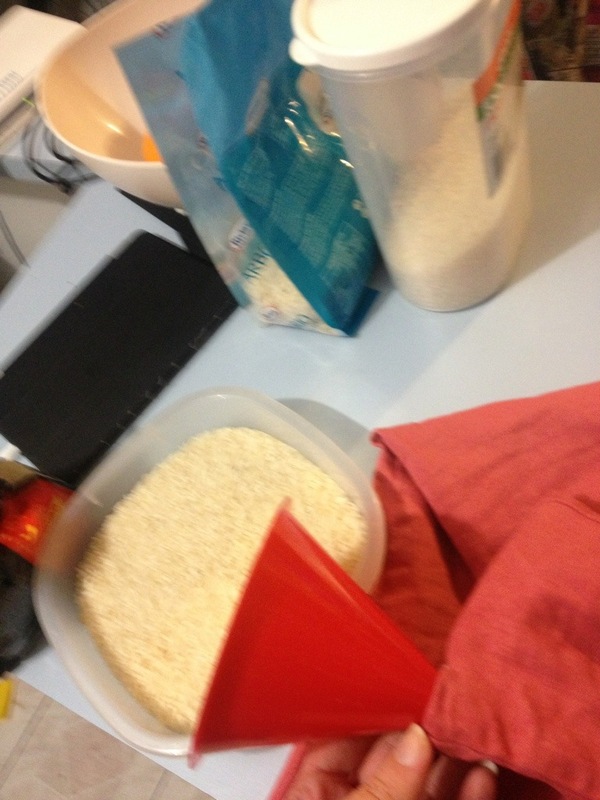 Using the sewing machine with rice already in it was tricky, but it did work. I had a great idea to use contrast embroidery thread, before remembering that my hand stitching is pretty terrible. So it’s not going to win any beauty pageants. But it does the job. Put it in the microwave for 2 minutes and put on neck. 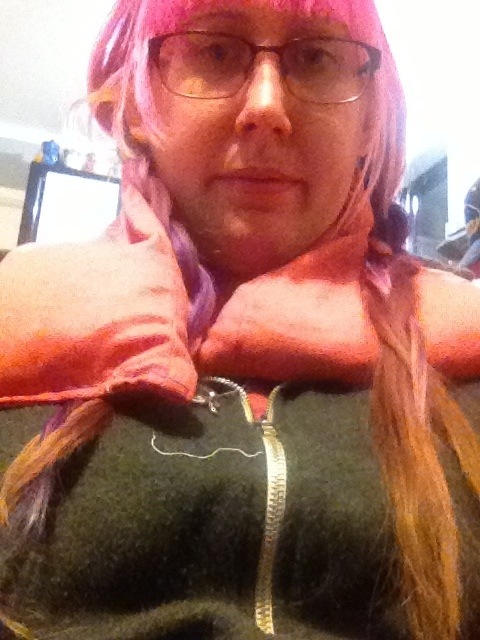 Heat packs are wonderful things. Actually, I think that’s pretty awesome! I may have deliberately not shown the ends that I still haven’t cut off the seams. I wanted to use it straight away. Best for heating in the microwave is barley. Will never pop as corn or grains. 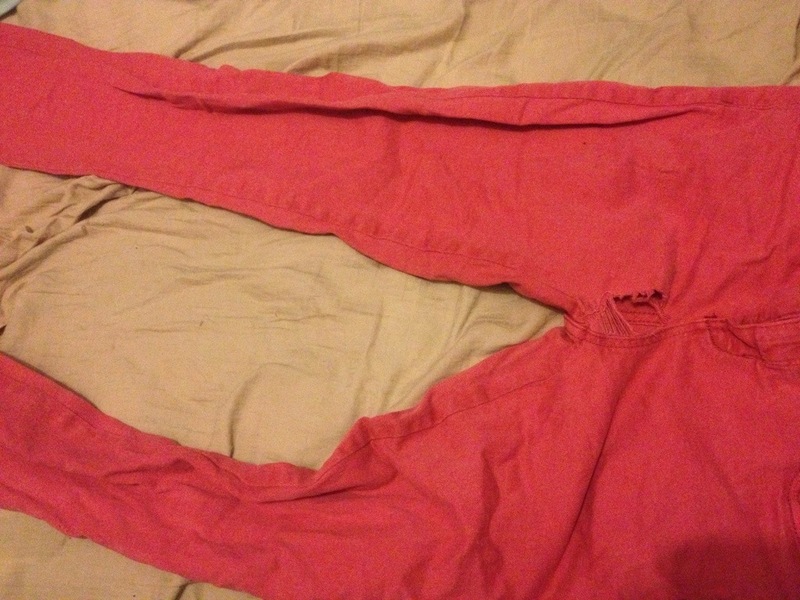 But idea on making the warmer out of trousers is awesome! oh, and before I forget! I looove your hair!